Follow instructions 1 to 7 below. Then using stiff card mark out an oblong 54mm by 16 mm. Cut this out and trim so that modified point will fit in cut-out. Place modified point onto card and mark the entry and exits to points, then trim card at these points. This will then be the gauge to enable the cut-out to be correctly made on the baseboard. 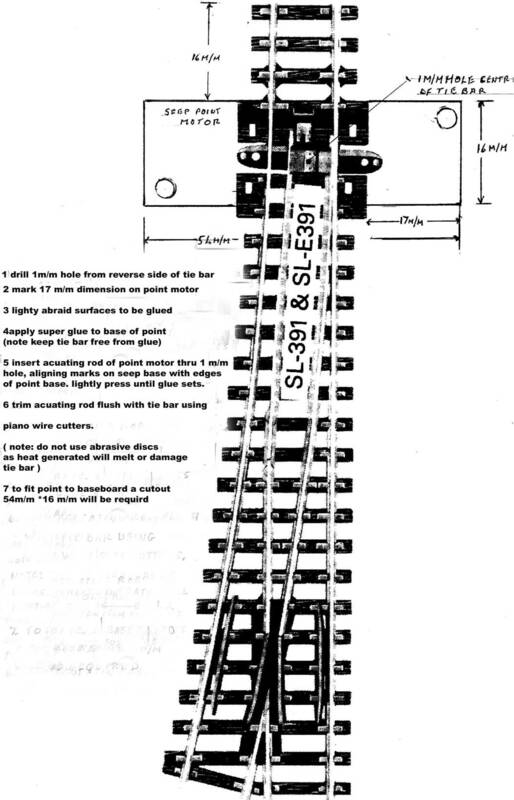 Turning gauge over can be used for left-handed points. 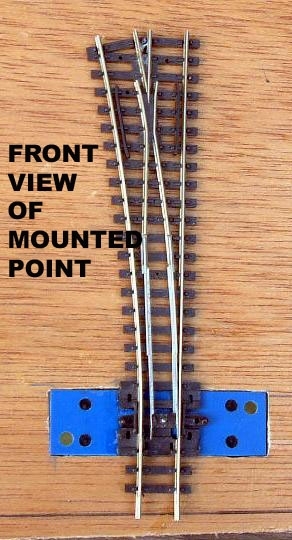 This method of mounting Seep motors will be suitable for all Peco N-gauge points.